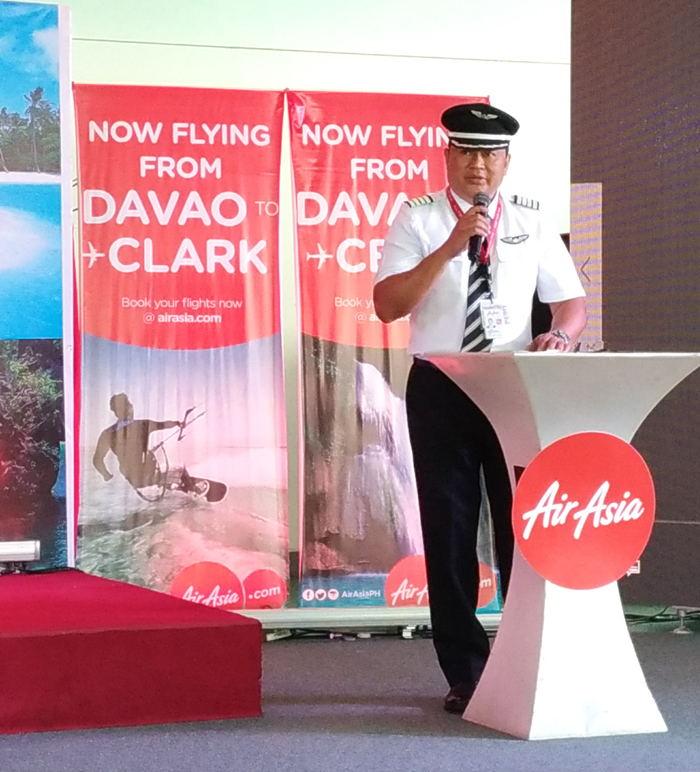 The hype continues to build up for AirAsia as the World’s Best Low Cost Carrier today began servicing new routes from and to Cebu, Davao, Clark, Palawan and Caticlan/Boracay. 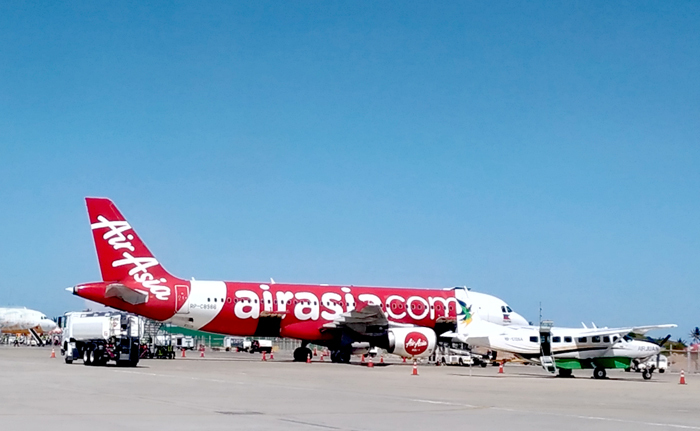 The first AirAsia flight from Davao to Cebu took off from Francisco Bangoy International Airport at 10:40AM with Philippines AirAsia Director of Flight Operations Captain Gomer Monreal as operating pilot assisted by Captain Bernardino Perez and flight officer Leonardo Orendain. from Davao to Clark, Caticlan, Cebu and Puerto Princesa last April 22, 2017. AirAsia flight Z2522 from Davao arrived in Cebu Mactan International Airport on time at 11:45AM with 98% load and was welcomed by water salute from Mactan Cebu International Airport management followed by a cake-cutting ceremony led by officials from GMR-Megawide Cebu Airport Corporation (GMCAC). 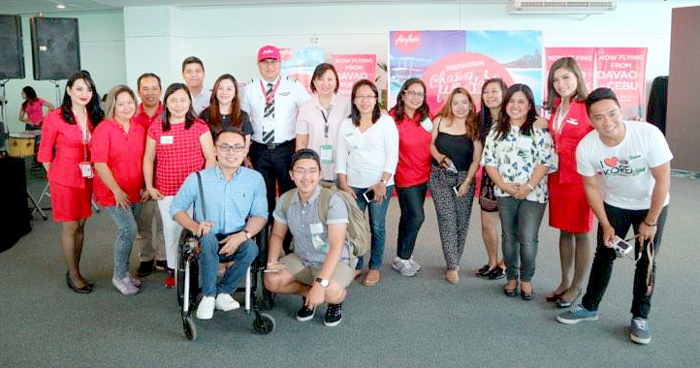 AirAsia launched Cebu - Singapore and Cebu - Taipei in November last year and increased Cebu – Kuala Lumpur flights from three times to four times weekly as part of its commitment to boost tourism in Southern Philippines. 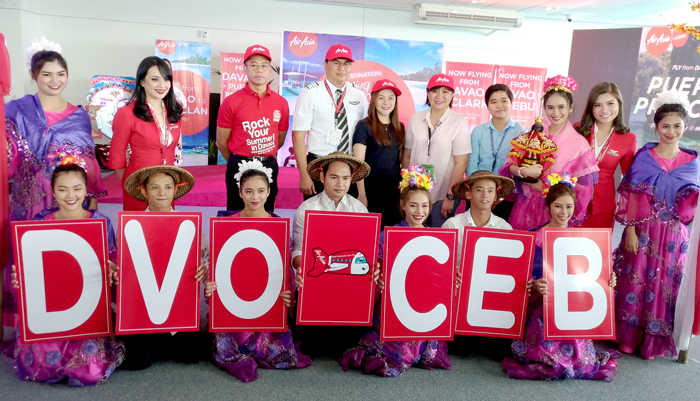 The airline is also servicing Cebu – Incheon/Seoul in South Korea. AirAsia has also unveiled its latest “Santan” inflight food menu featuring notable Asean flavors like Thai Green Curry, Nasi Lemak, Chicken Rice and Chicken Adobo now available for pre-book order at only P180 with choice of bottled water, coffee or soda and P149 for hot meals only when purchased on board any AirAsia flights.